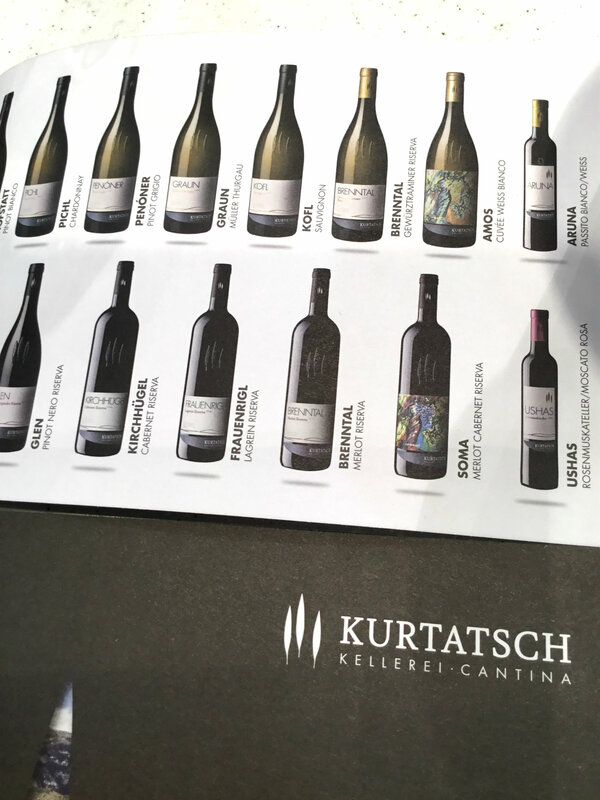 The charming vineyards of the Kurtatsch winery were also present at the Vinitaly show, and I was delighted I could taste most of their production. 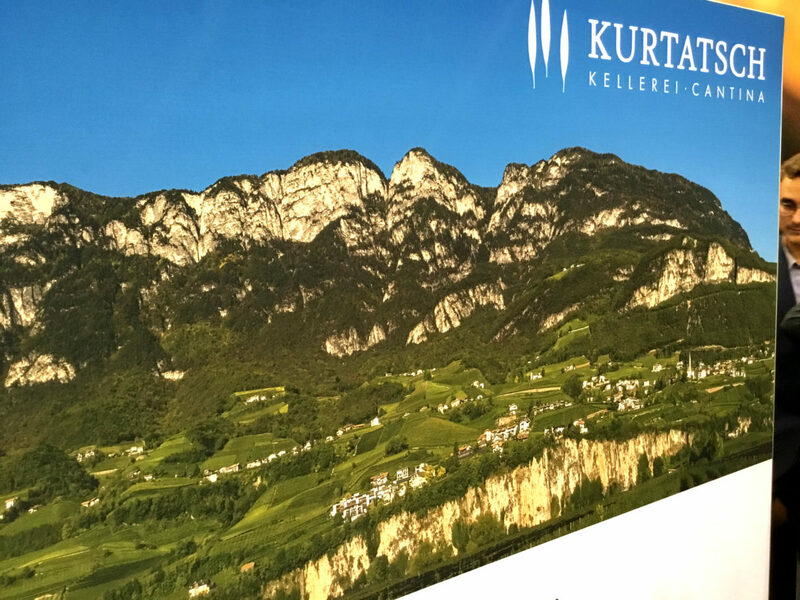 This winery in South Tyrol is an agricultural cooperative including different terroirs, with vineyards located on steep slopes at altitudes varying between 200 and 900 metres. The wines are mainly named based on their production areas. 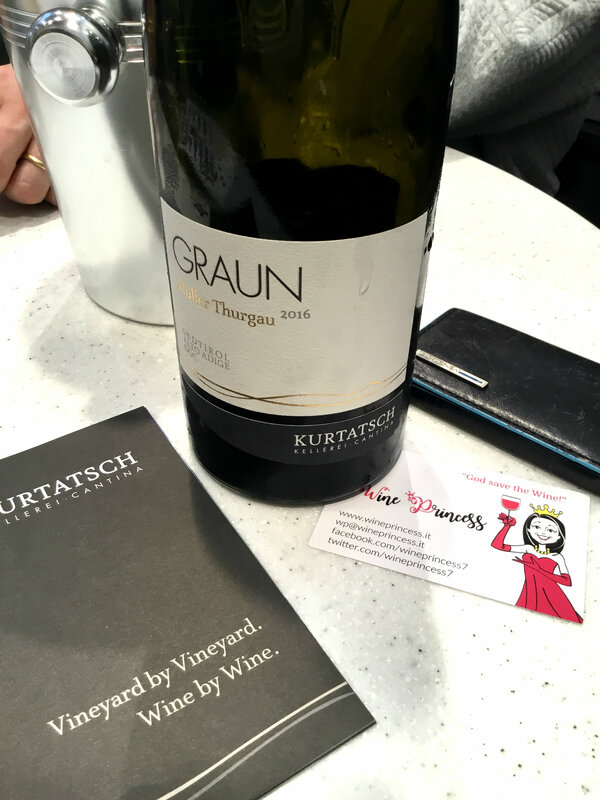 Red wines come from the warmest and sunniest South Tyrol regions, white wines from the vineyards to be found on steep slopes and higher altitudes. To produce wines in such a way that they reflect their different places of origin as much as possible, with painstaking and precise vinification of the individual vineyard sites, with decades of knowledge and the latest technologies. “Wines that taste like Kurtatsch”: Gewurztraminer, Pinot Blanc, Chardonnay, Muller Thurgau, Pinot Gris, Moscato Giallo and Sauvignon among the whites. 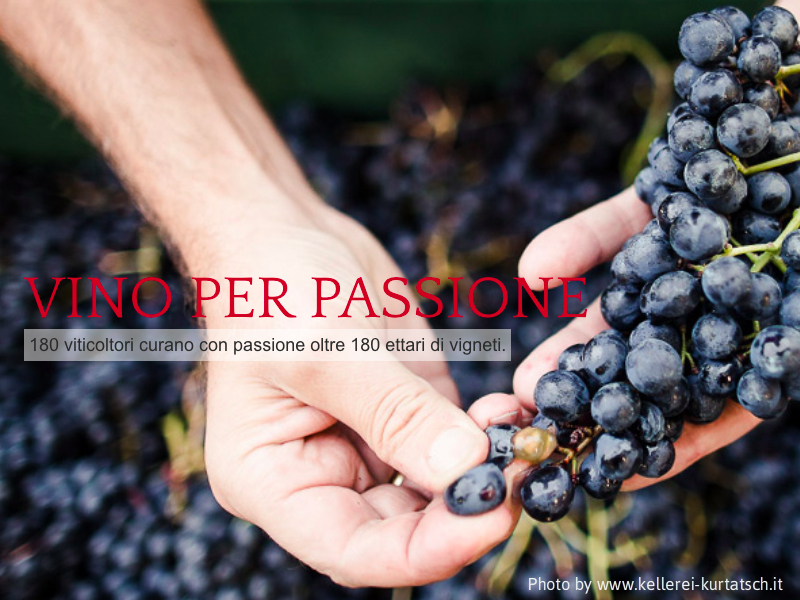 Merlot, Cabernet, Pinot Noir, Schiava Lagrein and Moscato Rosa: all genuine, fine and unique wines … fabulous! 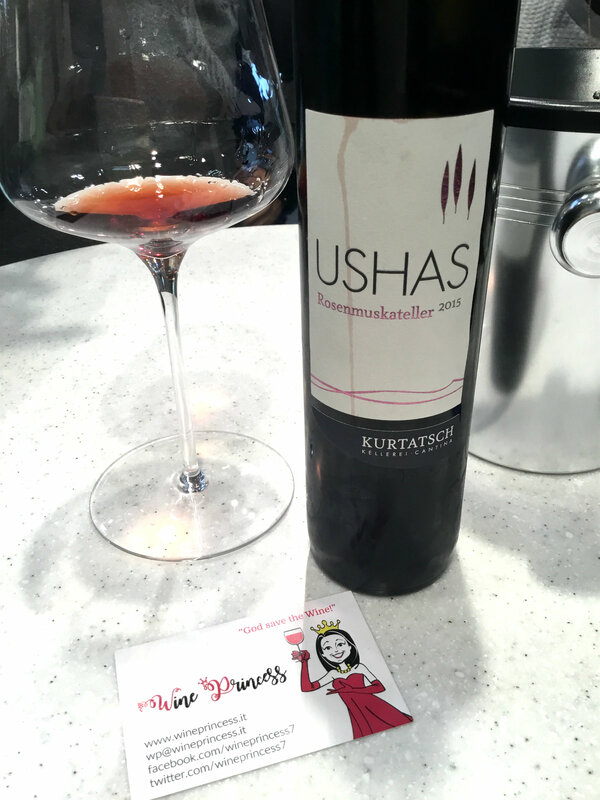 Wine Princess had the honour of tasting the very best of the production, the Moscato Rosa IGT “Ushas”. 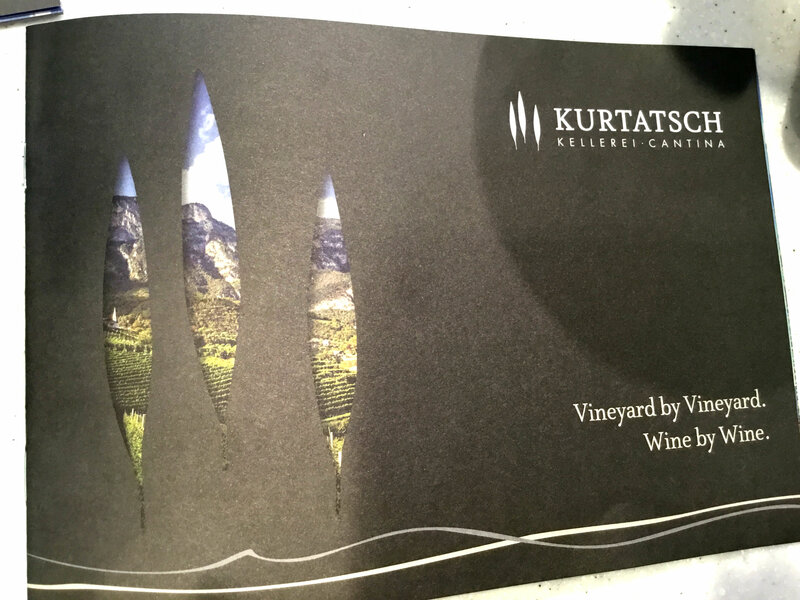 This vine is grown on a small, 9-hectare vineyard, in a warm and very windy area above Kurtatsch, so the bunches are small, with tiny seedless grapes and an extraordinary concentration of aromas and scents. The grapes are left to dry in the open air for 10 weeks, which gives Moscato Rosa a spicy tannic structure with rose, cinnamon and orange peel flavours. Unique and delicious in the nose and the mouth. Who should drink it: Everyone! Especially those who love sweet wines, they will find it fine and unique. When to drink it: In any season, at the end of the meal, as a delicious way to end a pleasant meeting. 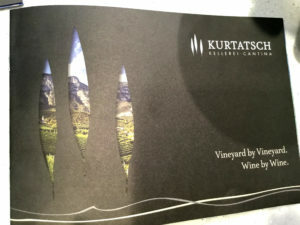 A wonderful opportunity: A trip to South Tyrol and a visit to the small vineyard that produces this nectar of the gods! God save the Moscato Rosa of Kurtatsch! 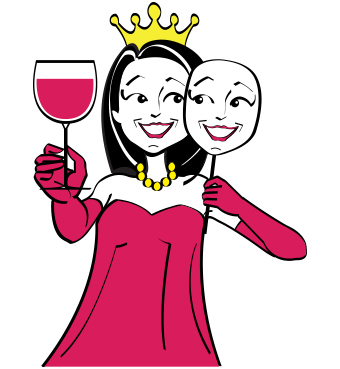 Drop your masks: a good glass of wine doesn't need fiction or superstructures. Bacchus demands authenticity, and authenticity is what you'll find in this section: the truth that I discovered in wine, or thanks to wine, in the most peculiar situations.